Thank you for taking the time to read about or park. Auburn RV Park at Leisuretime Campground in Auburn Alabama, Home of Auburn University welcomes you. 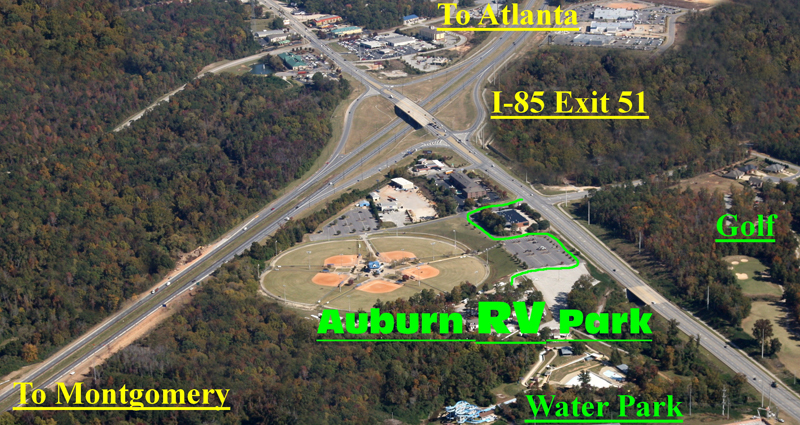 We are located on Interstate I-85 Exit 51 and are the Auburn-Opelika areas easiest on and off interstate RV park as well as the only privately owned RV park located inside the city limits of Auburn, Alabama. All sites within the park are full hookups with water, sewer, cable, telephone, WI-FI, 50amp, 30amp and 20amp services. 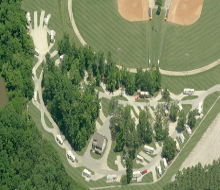 We have multiple site offerings ranging from large pull thru "Big Rig" sites to fit most any size RV to pull through campsites with full hookups available bordering Parkerson Mill Creek where you can open your windows at night and be relaxed by the sound of the flowing waters, we also even have a few tent camping sites. There is also a really nice men's and women's bath house facility that is centrally heated and cooled. We offer reasonable nightly, weekly and monthly rates. We also have a laundry facility, vending area, ice machine, bicycle rentals and business center on site for your convenience. Pull thru access to diesel is also available at the same turn in for the park. 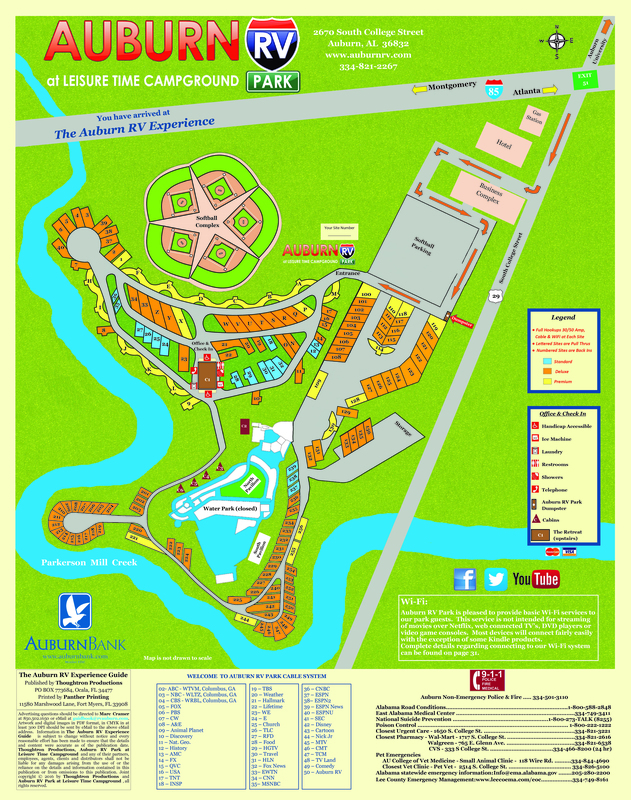 Our park is perfect for the easy overnight stay right off of I-85 to be able to pull off and not have to unhook your tow vehicle and be able to walk to eating establishments such as Ruby Tuesdays, McDonalds, Philly Connection, Pannie Georges Southern style cooking or take a short mile drive up the road to many more places to eat etc. 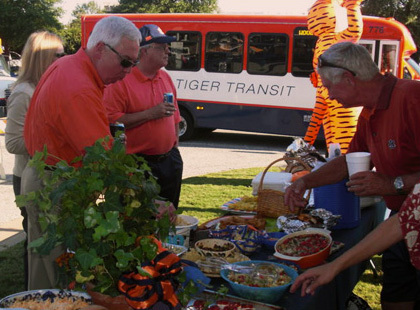 We are are also a great place to use as your base of operations for exploring the Auburn-Opelika area and Auburn University and can offer tours of the area and town from a Lifelong residents perspective. Also if you have business in the area and need access to our business center and high speed data capabilities, copying, faxing etc we can assist and also offer advice and connections to local markets of businesses we do business with. If you don't have a tow vehicle don't worry, we occasionally wouldn't mind giving you a ride into town or arranging a rental car or we also have several taxi services that service our park. Attractions within walking distance include Surfside Water Park connected with our property right next door and also a world class Softball Complex right next door as well that the park has some premium sites overlooking. Also across the street is the 18 hole Auburn Links Golf Course if you would like to bring your clubs . Also within biking distance is Chewacla state park which has many beautiful natural attributes, the 2 mile Charlotte and Curtis Ward bike trail is a masterpiece of a bike trail because it is off road and paved the entire way to the park, this is perfect for a morning run or biking outing. Auburn is the only city in Alabama to have been awarded and recognized as a "Bicycle Friendly Community" by the League of American Bicyclists, at the office we can provide you a map of all of the trails and routes of the bicycle network. Some other area attractions include Auburn University, The Jule Collins Smith Museum of Fine Art, 6 incredible Area golf courses, Lovelace Hall of Honor Auburn Sports Museum and Auburn Arena. 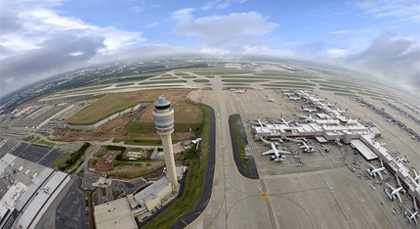 Park your rig and ride Express 85 Airport Shuttle Service to Atlanta and Montgomery Airports. Click here for more information. Comments: We stayed here for Auburn University parents weekend as well as the Auburn / LSU football game this year and had a really good time on both occasions. The staff and other campers at the park were very friendly and the bathrooms were always clean. We camped in our 43 foot Allegro Bus Tag Axle and liked site A or site M the best for our size rig also towing a car. Since our daughter is now at Auburn we will be staying at Auburn RV Park from now on for our visits there. Comments: My family and I were traveling home from Texas late on a Saturday evening in February or early March 2012. We were on I-85 when our truck broke down. 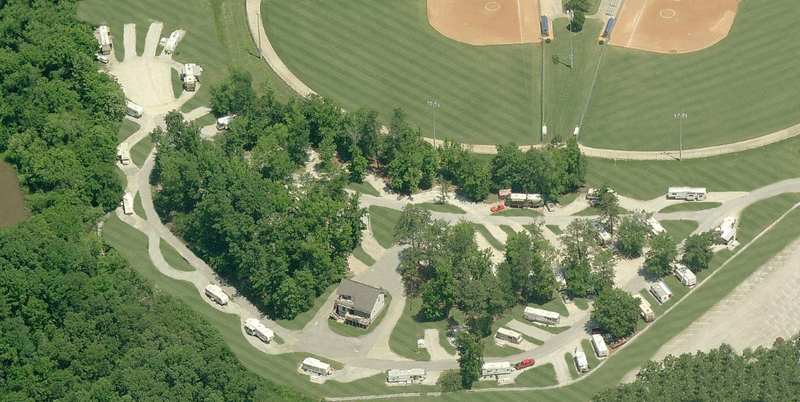 We googled campgrounds in the area and found Auburn RV park. We were very upset because of our truck and very tired because of the drive. The gentleman we spoke to was so compassionate with us on the phone. He told us to have the tow truck pull our travel trailer in anywhere and we could take care of the financial issues in the morning. He also took the time to inquire about our truck. He asked what model it was and then when we told him it was a Nissan he told us that there was a dealership across the road. This was such a blessing to us! We woke up on Sunday morning to find that our propane had run out. We didn't fill it before we left Texas because we assumed we would be home. The owner of the campground helped us to find the one place we could get the propane on Sunday and then took us across town in his personal vehicle to get it. He also took us through a drive thru so that our family could have lunch. We had a very pleasant stay filled with relaxation and renewing of spirit while we were there! Our boys were able to watch a softball game from their windows, ride their bicycles in a large parking lot, and play outside the camper in the dirt! The water park wasn't open then but our children were still very entertained! We thank God for this campground and if we are ever in the Auburn area again we will absolutely stay there again! Sorry that it has taken us so long to write this, life gets busy and we sometimes forget things that we want to do. However a year later we still talk about this experience and remember the kindness that was shown to us! Comments: Great place to stay ! Easy on / Easy off Interstate access with Large Pull Thrus This is a GREAT place to stay if you are visiting the Auburn area or just passing through. 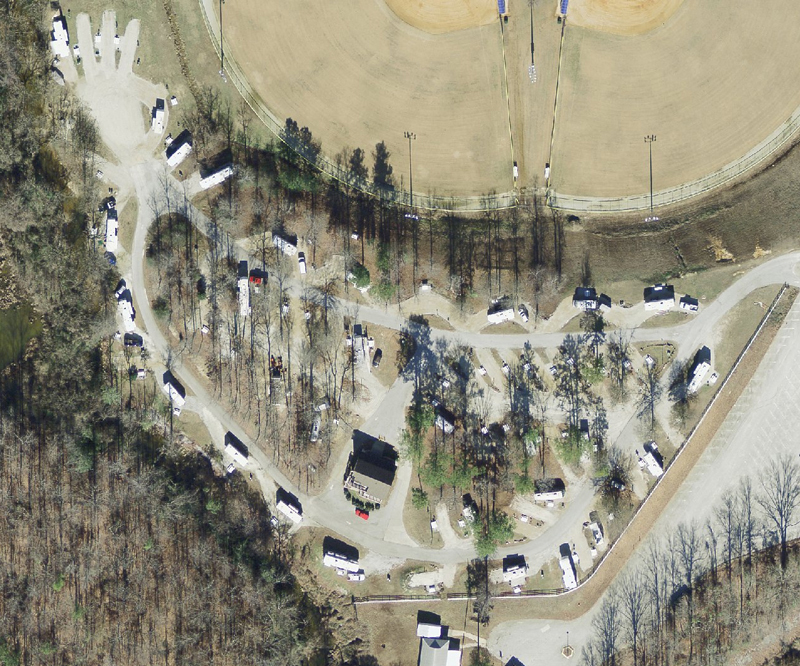 This was our first time visiting this park but we will be back again because of the ease of being able to get right off of Interstate I-85 and pull in there to one of their large pull thru sites overlooking the ball fields. There is also easy access to diesel and propane at the same turn in as well as a Hampton inn adjacent to the park you could walk across the parking lot to. We just overnighted there for two nights on our way to Florida and used their laundry etc but we would like to come back through on our way back North and stay a bit longer in the spring perhaps and use the park as our base to explore Auburn University and their Art Museum and quaint downtown which I was told by the nice lady park manager that it has many nice places to eat and unique shops, she even offered us a ride downtown on her way to the post office if we didnt want to unhook our tow car. We were there in November but there is a water park on the property too that looked like it would be alot of fun with the kids or grandkids as well as a golf course right across the street. I highly recommend this park. Comments: We stopped here for one night. Easy on/off I-85.. The park is close to the beautiful town of Auburn and of course Auburns stadium. Many sites were booked for football season so we were glad to be able to get a spot. The owner / manager is very friendly and helpful. We needed to borrow a cable to hook up our TV and the manager had already loaned theirs out so he went up to Wal-Mart and got another one and loaned it to us free of charge, THAT IS SERVICE ! The park has shady sites as well as open sites and is clean and well kept. It was nice to have garbage cans located on poles at each site that were checked and dumped daily. We would come back again and spend a few days exploring the area and downtown Auburn.